It's time for another fabulous Tuesday filled with fabulous reader-created projects! Hello, vintage floral wallpaper. I think I love you. 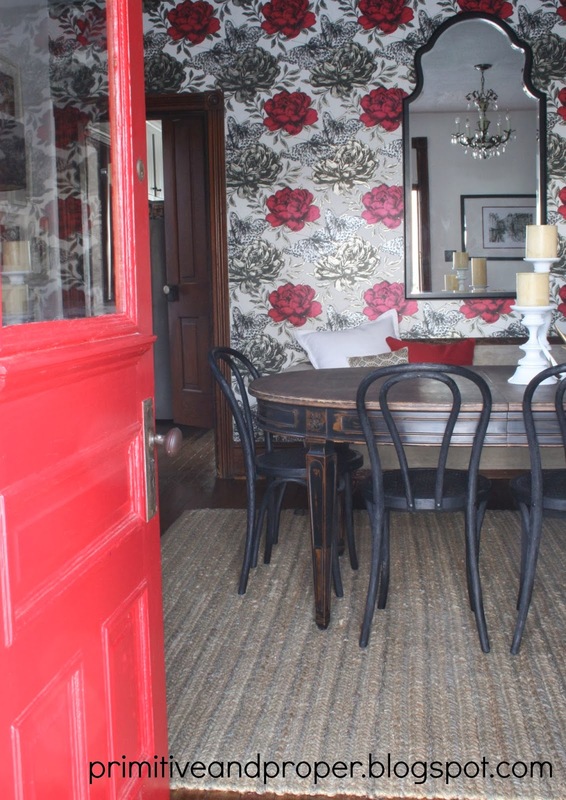 Cassie from Primitive and Proper recently helped a friend makeover her dining room... it's stunning! While I'm just about ready for winter to be over after all of these crazy Atlanta ice and snow storms (I know, I can't complain compared to you mid-westerners! ), this pretty neutral winter mantel from Georgia and Daughter is definitely inspiring! 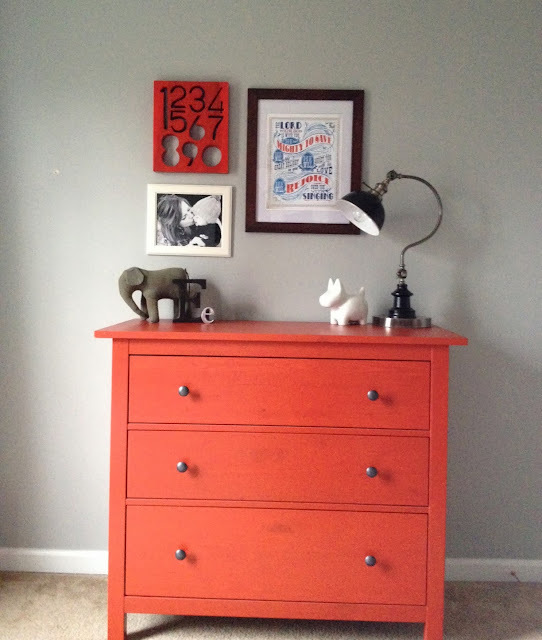 Kristen from The Windle Family shared her four year old's "big boy" room makeover. 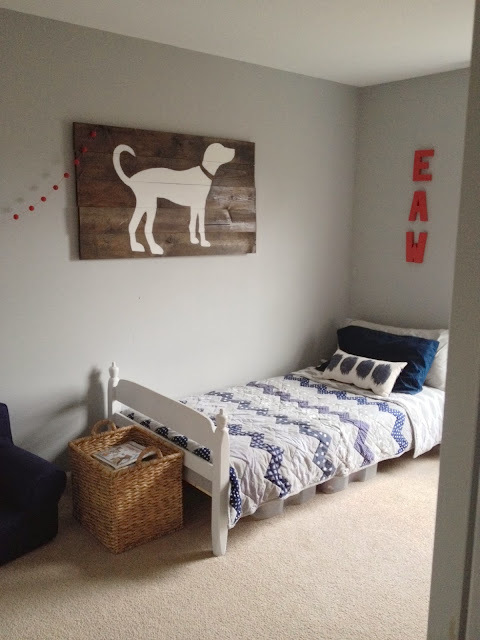 I'm loving the DIY dog sign, the chevron quilt that her mom made and the dresser vignette! How cool is this DIY industrial bracelet/jewelry holder that Aimee from Aimlessly Elegant made? Do you have a do-it-yourself home or craft project, recipe, kid-friendly project or room makeover that you'd like to share for the next Tuesdays at Ten June? You can share your projects with me one of two ways. Shoot me an email to tenjuneblog@gmail.com with photos and/or a link to your blog and the subject line "Tuesdays at Ten June" or tag a photo of your project (make sure to include a link if you'd like!) on Instagram at #tuesdaysattenjune. I can't wait to see what you're working on! aaah! thank you so much for the shout out! :) love that boys bedroom, too! so cute- the dog art rocks! Cassie did an excellent job! 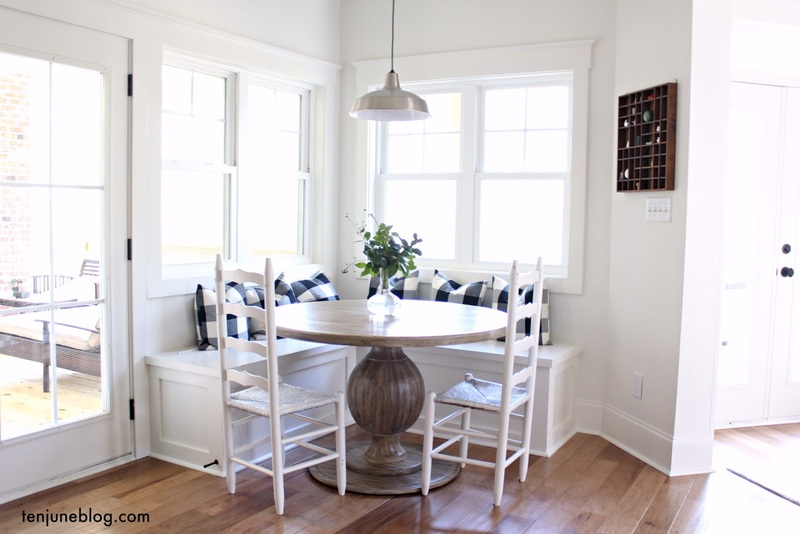 I love that dining room! thanks for adding Everett's room! 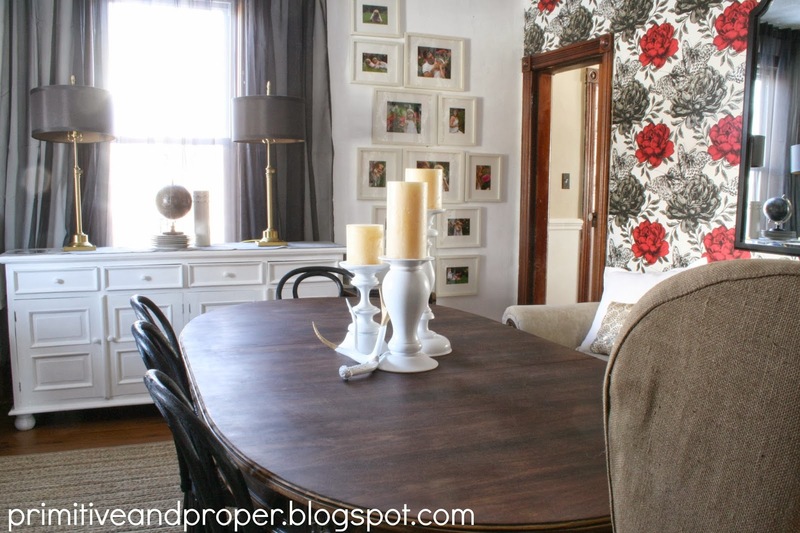 Love that wallpaper Cassie!